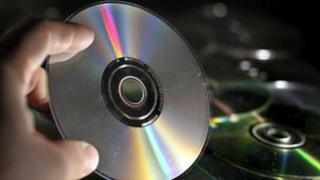 A report published by the European Commission Joint Research Centre claims that music web piracy does not harm legitimate sales. The Institute for Prospective Technological Studies examined the online habits of 16,000 Europeans. They also found that freely streamed music provided a small boost to sales figures. The International Federation of the Phonographic Industry (IFPI) said the research was "flawed and misleading". "It seems that the majority of the music that is consumed illegally by the individuals in our sample would not have been purchased if illegal downloading websites were not available to them," wrote the researchers in their report, Digital Music Consumption on the Internet: Evidence from Clickstream Data. "Although there is trespassing of private property rights (copyrights), there is unlikely to be much harm done on digital music revenues," they added. The team analysed data over the course of one year. They also found that music streaming services such as Spotify and Pandora gave a small boost to music sales. "According to our results, a 10% increase in clicks on legal streaming websites lead to up to a 0.7% increase in clicks on legal digital purchases websites," claimed the report. However the international music industry body the IFPI was highly critical of the research. "The findings seem disconnected from commercial reality," it said in a statement. "If a large proportion of illegal downloaders do not buy any music (and yet consume, in some cases, large amounts of it), it cannot be logical that illegal behaviour stimulates legal download sales and inflicts no harm."